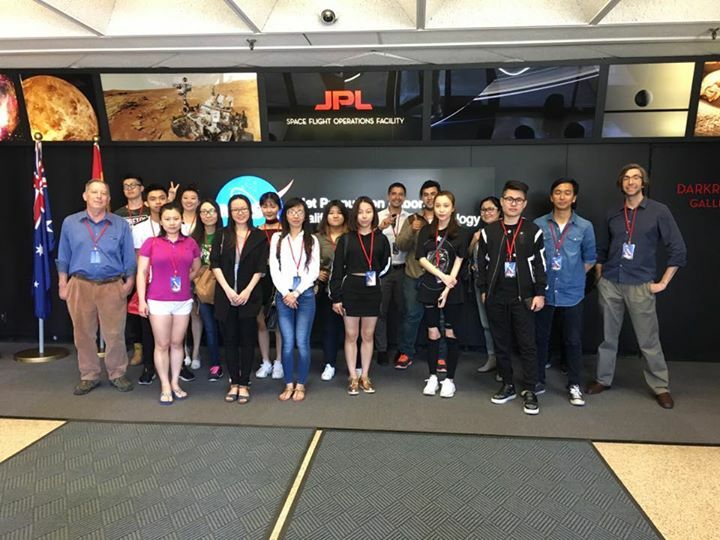 Our excursion to The Jet Propulsion Laboratory(JPL) in Pasadena, on April 28, 2017 was a fascinating opportunity for students and teachers alike to learn about the contribution to past, present and future space exploration and a deeper scientific understanding of the Earth, our solar system and beyond. It started with a short lecture and film on the history of JPL, as well as some time to look at some interesting models of past and current robots used to explore the solar system. We then paid a visit to Mission Control, where JPL scientist monitor and adjust the current activity of space probes and satellites being used for a verity of scientific missions. JPL scientists were in contact with eight space craft at the time, including Cassini, which was sending back new information about and pictures of Saturn's rings. For the last part of the tour we saw the "clean room." This is a huge room where JPL engineers build new robots and vehicles that will be used in upcoming National Aeronautics and Space Administration (NASA) missions. The tour guide said that we were currently assembling the machines that would be sent to Mars in 2020. It was a fascinating afternoon, spent learning about how this local organization has expanded our understanding of space, how they are helping us learn more about the solar system now, and how they plan to continue exploring into the future. 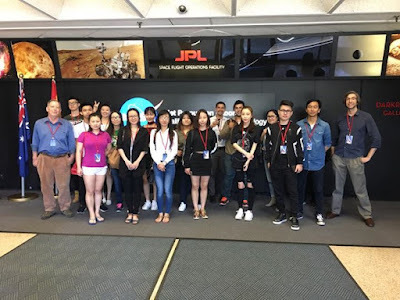 Take a tour of JPL, it's really interesting!